* Tn this workshop we review the disaster management cycle and the role NGOs hae to play in each phase. 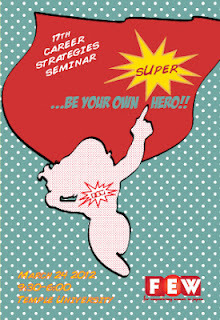 This is an introductory workshop open to anyone with interest. * In this workshop we review the sources of funding and funding issues. This is an introductory workshop to anyone and is not aimed at professional fundraisers. the public and usually free of charge. 13th Annual TELL Charity Walk and Runathon on May 5th. Payment is made online and this year participants can accept pledges. A writer in a totalitarian state is interrogated about the gruesome content of his short stories and their similarities to a number of child murders that are happening In his town. The Pillowman is a deliciously dark play which questions the dangerous power of literature and whether the only duty of a storyteller is to tell a story. 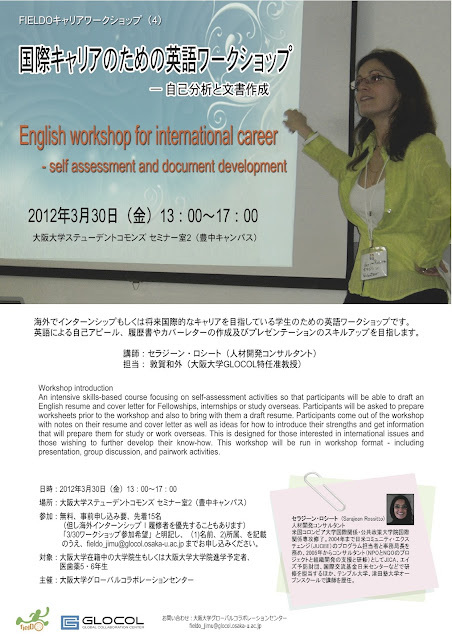 please share with your friends in Kansai! 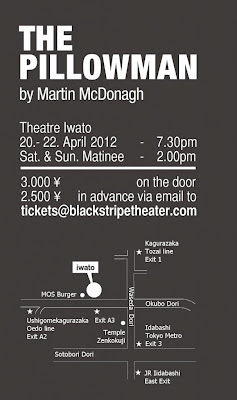 • Live performances by The Watanabes, a whimsical global guitar pop group. i need someone to review some Japanese materials this month - March. Just a few pages - drop me a note if you can help me with this! 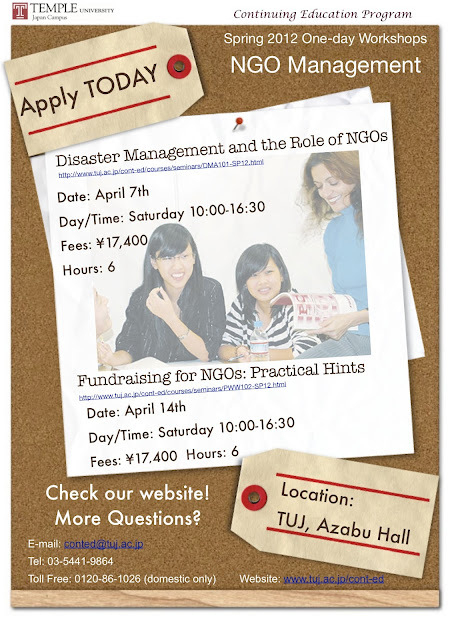 “Lessons Learned: The 2011 Disasters in Tohoku, Japan” expands on Give2Asia’s lessons-learned from working within Tohoku. 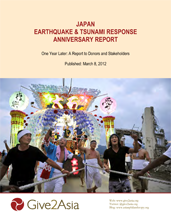 Give2Asia's report on our Japan disaster recovery work has just be posted on our website. 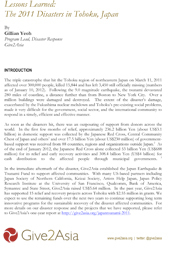 although i did not do the actual writing of the reports, you can probably find a bit of my work on each page as the Japan program manager for the Japan disaster recovery fund. Do share with anyone who might be interested. TokyoProgressive is moving from Tokyo to Miyazaki. While the website, tokyoprogressive.org, will remain, we are branching off into a few exciting areas: 1) a project to help relocate families, including farmers, from Fukushima; also, a plan to offer farm stays to kids unable to move away from areas close to Fukushima Dai-ichi, since even a short time away helps reduce accumulated internal radiation. And kids are the most vulnerable and are not being given any consideration by the authorities at all. 2) a home-based language school with a focus on learning for social change. here in Tokyo and around the world. i saw Nhat Vuong today and i am so happy to see that his fundraising website has been launched. when i met him 3 years ago - it was still an idea.